What’s it about? Takezo’s school koto club is doomed—all the other members graduated, no one else seems interested in joining, and the club room has become a hangout spot for bullies and thugs. He assumes Kudo, a first-year with a reputation for delinquency, is just another one of those bullies. But when Kudo cleans out their club room, Takezo realizes there might be more to him than he initially assumed. Ah! Did you hear that? ANGST ANGST ANGST ANGST ANGST!! They’ve come right up to us! How fortunate! Observe their soft features and pastel coloring, which serve to make them nonthreatening and appealing to female fans, despite their native habitat being Jump Square magazine. The dark-haired nerd and blonde tough guy will attract fujoshi from miles away! …Okay, that’s enough of that gimmick. The David Attenborough impression was fun, but I can’t keep it up. It’s not like I’m Vrai. Kono Oto Tomare is a perfectly serviceable shounen melodrama. The first episode honestly flew by in such a frenzy that it’s hard to boil down exactly what there is to say about it. In just twenty minutes, it covers Takezo’s backstory with the club, his assumptions about Kudo’s intentions, Kudo’s actual intentions, Kudo’s backstory involving moving in with his grandfather who owned a koto shop, being accused of arson, his grandfather’s hospitalization… it’s a lot of ground in 20-odd minutes. Sometimes a breezily paced premiere is a good thing, but I’m not so sure with a series like this. It’s a character-driven melodrama, after all, and while I commend its economy of storytelling, I’d like a bit of breathing room around its character beats. Takezo learns Kudo’s entire backstory courtesy of a friend, but we don’t really get a sense of how Kudo himself feels about the assumptions being made about him, or about whether he wants Takezo to know just yet. Kudo has plenty of potential as the “misunderstood delinquent with a heart of gold,” but there’s no shortage of that character archetype. I need some proof that he’s actually interesting enough to spend time with. Takezo, meanwhile, is exactly the kind of sweet-but-spineless character that tends to lead shounen melodramas. He ended up in the koto club not out of any actual interest in the koto, but because, after bombing out on the exams for a prestigious high school, he sympathized with their poor playing during the entrance ceremony. Everyone around him walks all over him, which is why the club is in such a state. He’s nice and all, but I’m not sure he can carry the show himself. 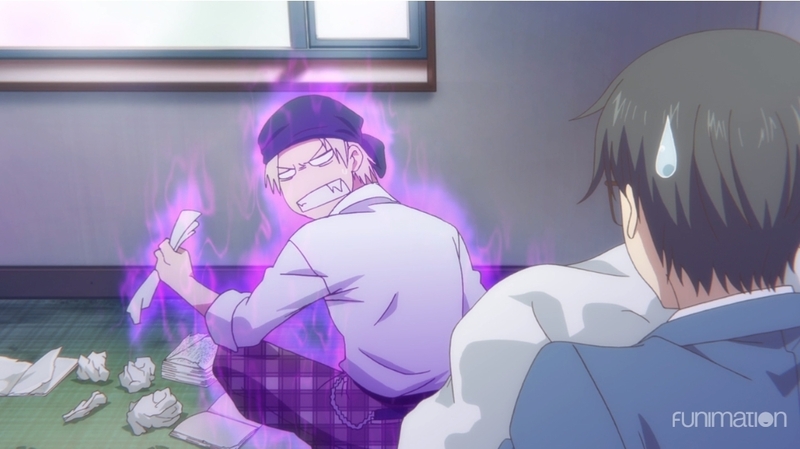 Kono Oto Tomare! is fine. In fact, I’m sure quite a few people will like it and a few may even love it. I don’t personally have time for series that don’t grab me immediately, so I’m tapping out here, but if Kono Oto Tomare strikes your fancy, then kudos to you.